Anyone else have that Styx song in their head now? I'm on the plane now (hooray free wifi!) 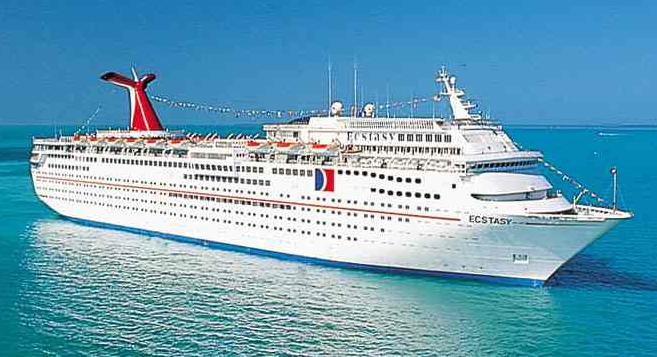 and will be embarking on a cruise tomorrow! Grab the Skip Counting Snowmen here! I look forward to being reunited in a week! I'm your newest follower...I love your cute blog! Thanks for sharing all your freebies...and have fun on your cruise! 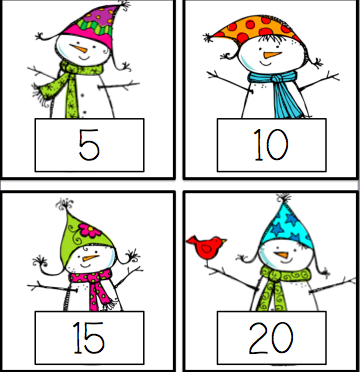 Thank you for the cute snowman skip counting activity. I am your newest follower! 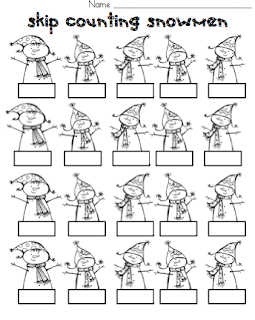 So cute and just the thing my kiddos need work on! Hope you had a great cruise!!!!! Happy New Year! So glad I discovered your blog! I'll be checking in often to see what's happening in your world of Kindergarten! Great stuff happenin' here! By the way I wanted to let you know I awarded you the Versatile Blogger Award! You can check out the details by linking back to my blog. Just found your site and I am in LOVE with it! I am your newest follower! I've awarded you the versatile blogger award. Check it out here. I love your blog! Thanks for posting. Thanks. 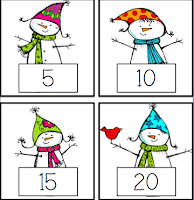 These are a great way to review skip counting when coming back. First, I LOVE cruises and hope you had a great time. Your fur babies are adorable and so is this game! Thank you for this *freebie* and all of the other wonderful ones I am just discovering! I am your newest follower and am so excited to check out your sweet blog! I would love for you to come visit me! I have LOTS of *freebies* too! 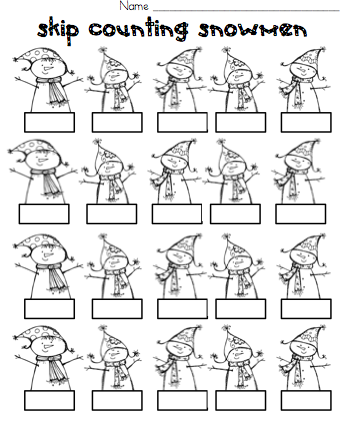 Thank you for the cute snowman skip counting sheet! Too cute and perfect for our snow theme! Found this on pinterest!